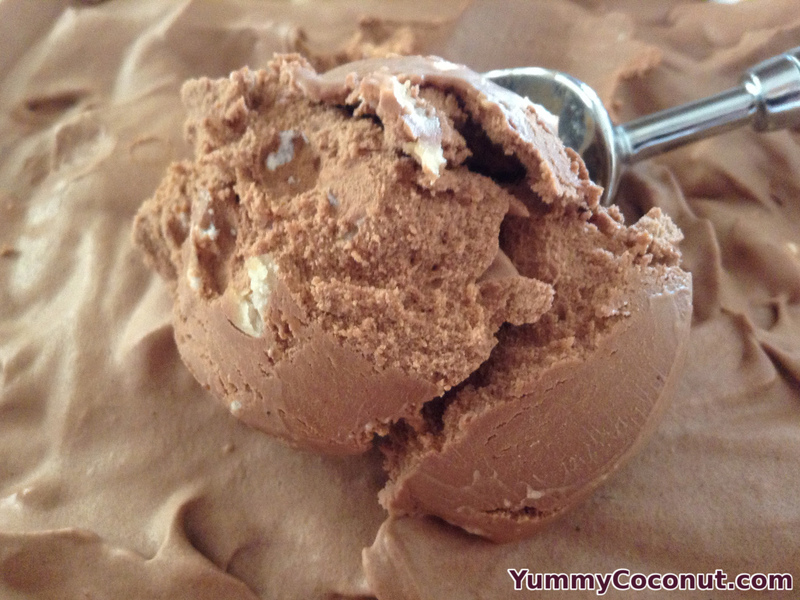 If you are in the mood for chocolate, marshmallows and almonds, try out this delicious Rocky Road Ice cream made with coconut milk. It is a decadent, rich chocolate treat that both adults and children will love. So treat yourself to some home made goodness tonight! In a large saucepan, slowly heat the coconut milk, coconut cream, salt and sugars over medium low heat. Once the mixture starts to bubble, temper in your egg yolks. Do this by adding ¼ cup of the warm coconut milk mixture into the egg yolks while whisking. Repeat 3-4 times until the egg yolks are warm. Slowly whisk the egg yolks into the mixture in the saucepan. Stir until the mixture has thickened and can coat the back of a spoon. Let cool to room temperature then refrigerate until chilled (about 3-4 hours). Follow the directions on your ice cream machine for finishing the ice cream and adding in the marshmallows and almonds. Mix-ins are usually added right at the end of the ice cream freezing process. Adding them too early to your machine may cause it to bind up early and not properly chill your ice cream. This recipe makes a dark chocolate ice cream, if you want it to be more like milk chocolate, use a little less cocoa (1.5 ounces) or add more sugar (1-2 more ounces).